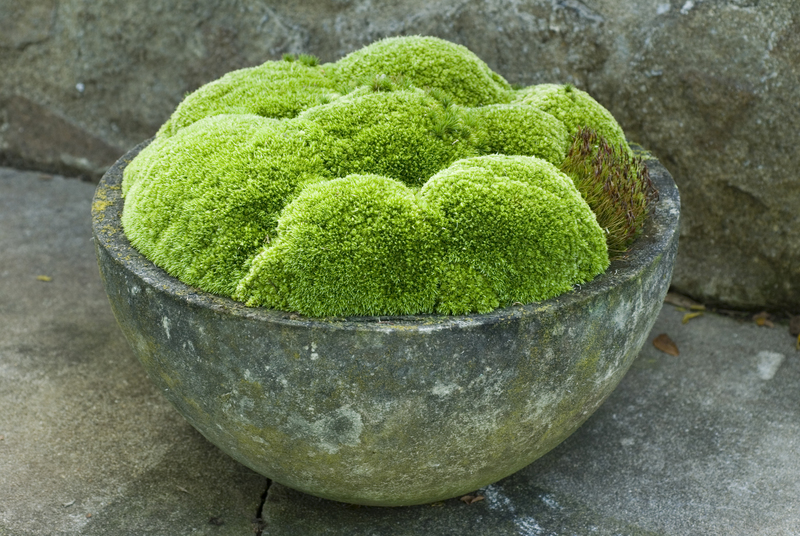 Gather the materials: a container with a drainage hole, growing medium, and moss. Pots made of porous terra-cotta or concrete will help keep the soil cool, although those made of other materials also work. Harvest moss from your backyard, or call friends until you find someone who has a patch of moss you can harvest from. Or, you can order live moss on-line at mossacres.com. Fill the container with the growing medium. I used compost and commercial potting mix. Press firmly to compact it, and mound it into a dome. Press small patches of moss onto the medium and arranging them to completely cover the surface of the potting mix. Water as needed. Even if the moss dries out, it will quickly revive once you resume watering. This entry was posted in Gardening and tagged Crafts From The Garden, DIY, Moss, Organic Gardening Magazine, Unusual Centerpieces, Unusual Garden Containers. Bookmark the permalink. I love it (and I might love the planter even more)! This one I am going to do for sure. I love this.